Rana’s Ghazi opened to some positive reviews all over on Friday and collected 1.3 crores in both the Telugu states. With the mouth talk getting better, the film is seeing some very good up-swing in the collections. The film has caught on quite well as the collections on Saturday in both the Telugu states are quite good. In the overseas too, the positive reviews have helped the film completely and as the film has a patriotic feel, the NRI’s are showing good interest in the film. As the film released in three languages, the effect is even better. The makers are quite confident that the film will see some good profits in the coming weeks. 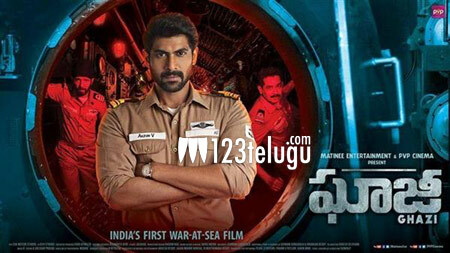 Ghazi is made on a tight budget and as the film has some very good patriotic angle, the satellite rights would also fetch the film some good money. With the weekend setting in, the collections, especially in the A centres have sprung up quite heavily.